Dave Milton Photography: Always Wondering - Is There a Better Way? I was almost out of my mind yesterday. 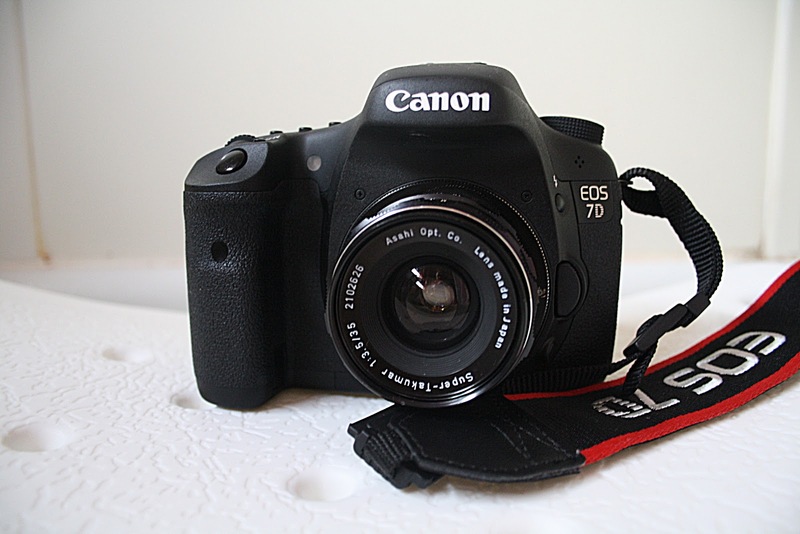 You know, how I was struggling with how I thought I needed a "cool" kind of in-between camera, that would be better than the smartphone, but less imposing and geeky than the EOS 7D... even to the point of going back to the dark side - film! I even spent two hours yesterday reading up on how to develop B&W film. Really, it doesn't look too hard. All the really cool cameras are film - that's just a fact, isn't it? No really - I can only think of one really cool digital system camera that would still give me a proper optical viewfinder (an absolute must-have) - the Pentax Q with optional accessory. But that's not what I have, nor would it quite serve the purpose of being a good indoor event camera, and it's a bit too expensive to be a second camera, at least for me, on a pension! However, what I do have is something new! Yes, this past Saturday I bought a new lens to round out my collection of "old glass". It's a Asahi Pentax Super Takumar 35mm f3.5, in mint condition. It's really "right". Very compact, very lightweight, makes superb images, has a "just right" focal length for walkabouts, and best of all, it makes my camera look a little more old-school. Manual focus is a total snap with this lens, and what I see in the viewfinder is spot-on with what the camera delivers, with no micro-adjustment necessary. Film, you say? Nah, why bother! I'll sleep well tonight. Oh, by the way, you might be wondering - what did I take the picture of my camera with? The "phantom" camera of course - my wife's Digital Rebel XS with Kit Zoom, her hand-me-down from me.